I was rifling through my bedroom drawers looking for something or other when I came across a rebozo (shawl) my mom made ages ago. I think it’s about 35 years old. I was a kid when she made it and I fondly remember how she painstakingly created it. She used this very thin yarn and I remember going with her to different places in Los Angeles and Tijuana looking for the right colors when she would run out. 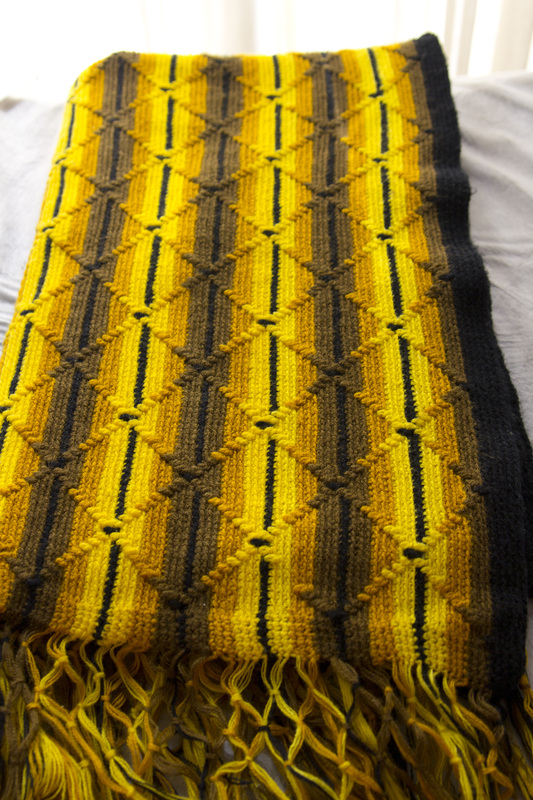 I thought the finished rebozo was so beautiful. From that day on and through the years, I would pull it out and look at it wherever she had it. Towards the end my of my mom’s life, her things started getting boxed up as she was forced to move in to a nursing home. When it was sadly clear she was at the end of her life, I decided my siblings and I needed to go through her things and keep what we wanted and donate what we didn’t. My mom was a very practical woman and I knew she would want us to use her things instead of having then deteriorate in those boxes. It made me sad thinking of that beautiful rebozo, among other things, sitting in a dusty garage, boxed up and rotting while I cherished it so much. I staked my claim to that rebozo. My siblings were fine with that. They had similar feelings towards other things so I pulled out those boxes and went through them piece by piece. It was like a treasure hunt. Some things were nothing but trash but among that rubble were those gems we were looking for. I elatedly found it. Even after sitting in those not-so-cared-for boxes, it was still beautiful. It brought back so many memories. Memories of how my sister made a gorgeous one in blue. I remember making a small one with my mom walking me through the process. When my mom passed, I was able to wear that rebozo to her funeral. I wore some jewelry she gave me (my mom and I were always in cahoots when it came to jewelry) and that beautiful rebozo. I felt surrounded by my mom’s love. Since my mom’s passing, I have become the crocheter of the family, having taken up my mom’s mantel. Everyone assumed I had made the rebozo and delighting in my mom’s influence on me and I loved telling everyone that no, my mom made it decades ago. It made everyone feel good to know that a part of her was still there. 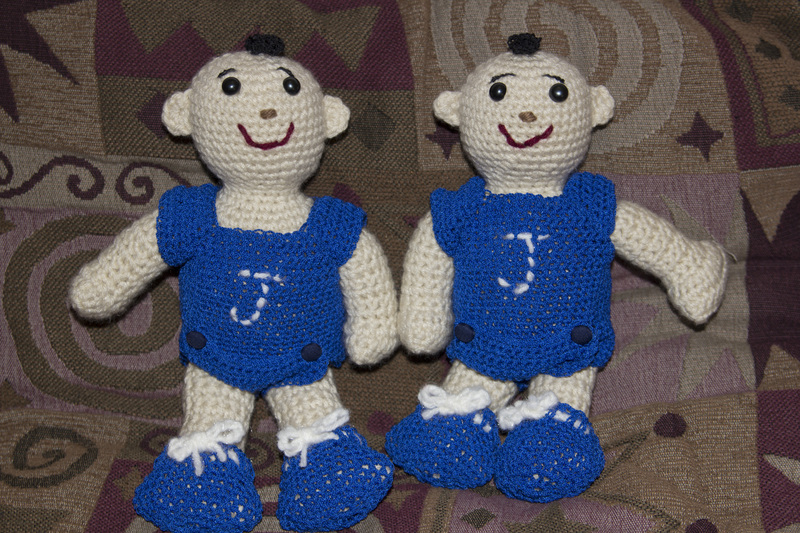 I don’t have my mom’s talent for looking at a crocheted piece and knowing how to duplicate it exactly. I stare at her shawl knowing that I can’t recreate it. Not exactly anyway. I remember some things about how it was made but making a new one is lost on me. That’s fine by me, though. I have hers and that’s more than enough. Today I was thinking about how grateful I am when my family and friends challenge me to make or try something I’ve never tried before. Of course, at the time of said challenge, I’m usually annoyed that they don’t leave me alone in my complacency. My daughter is the most guilty of this by always wanting something I’ve never done before or wanting something I’ve done but in a different way. I tend to throw her a look that’s pure annoyance because I know it is going to be work to get the results she wants. Hours spent researching stitches, techniques, and experimentation goes drifting through my brain. I usually respond with a skeptical, “We’ll see,” each knowing full well I’ll eventually try it. I’m always happy I rise to the challenge because, in the end, I finish with a brand new bag of tricks that enhance my future projects. Case in point, she wanted a doll. 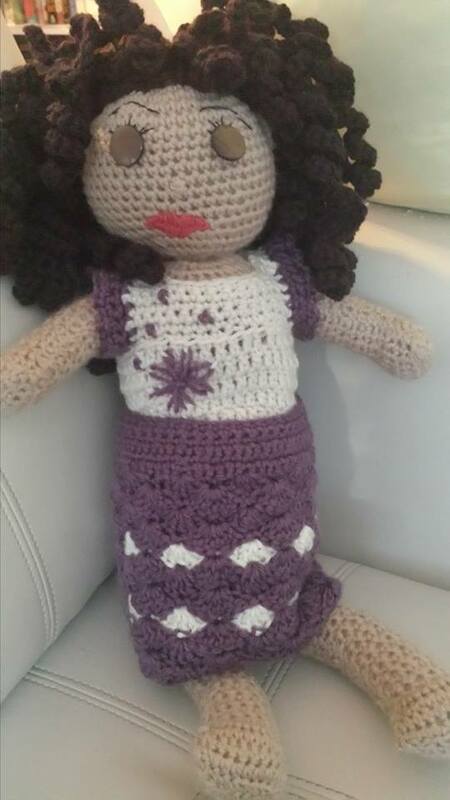 Great, I thought, I make dolls! Easy peezy. But wait! She wanted a gothic doll…and with wings no less! She sent me these cute illustrations of what she wanted. I saw these beauties and wondered if I could meet her high expectations.